​Newcastle manager Rafa Benitez has revealed that loan signing Antonio Barecca could be in contention to make his Magpies debut this weekend against Spurs, but the revealed that the Magpies will remain without several key players who continue their recoveries from long-term injuries. "(Mohamed) Diamé, (Karl) Darlow and Joselu have all been training but are not ready for the game," Benítez told the club's official website. Rafa Benítez has confirmed that loan signing Antonio Barecca will be in the squad for the Magpies' @premierleague clash against @SpursOfficial. "(Paul) Dummett, Ki (Sung-yueng), (Rob) Elliot and (Jonjo) Shelvey are very close and I am quite positive they will hopefully be available against Wolves. Though full-back Barecca could feature against ​Spurs, club record signing Miguel Almirón will be unavailable for selection as the Paraguayan awaits his visa. After a fruitful transfer window in the north east, Benitez has admitted he is happier with his squad now and revealed that confidence within the club is high after recording an extraordinary win over champions Man City. "I am happier now than I was one week ago. Why? Because we won against Manchester City and we have brought in two players. They bring us something we didn’t have. We needed to fill some gaps in terms of position and characteristic of players," Benitez continued. 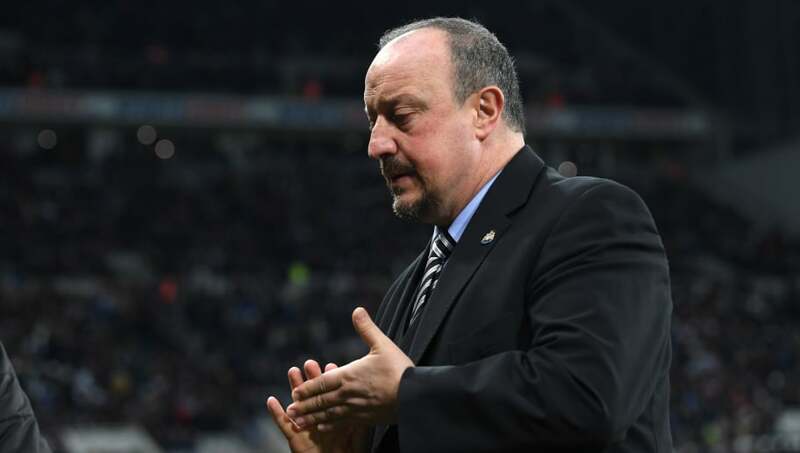 ​Newcastle will follow up their trip to Wembley with another tricky away test as they travel to Molineux to face high-flyers ​Wolves next Monday.